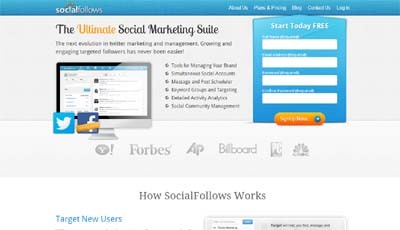 Social Follows is an all in one Twitter Marketing and Management Tool. We help users define, target and engage their customers, users and followers alike. Throughout the fall we will be heavily focusing on Facebook, Linked’in and G+ integrations. More functional of a design and layout then the competitors, as well as an array of tools to help you better define and engage your audience.